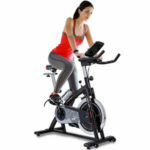 The Pros and Cons of this Sportstech ESX500 Exercise Bike. 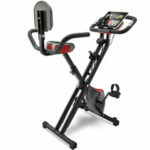 There are plenty of nice design features in this Sportstech TEST WINNER Exercise Bike ESX500 to appeal to many users. 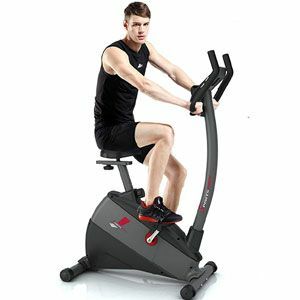 There are plenty of positive user reviews for this stationary bike that talk about the quality of the workout. The majority of the users, with average goals and fitness levels, have no problem getting a sweat on here. There are 12 pre-set workout and 16 resistance levels here. The highest levels are a challenge, which means plenty of room to progress. There is also a console that shows data on the workout, including the reading from the compatible pulse belt. There are also some nice additional features to the build of this bike machine. This may be tougher than the average system in some respects, but it is still user-friendly for at-home use. This lightweight model has transport wheels to help users wheel it to different rooms. There is also the benefit of the anti-slip pedals, the adjustable seat height and the tablet holder. There is also an app for this Sportstech TEST WINNER ESX500 Bike, but it isn’t so well received as some of the other features. One of the interesting things about the feedback for this Sportstech bike regards the smartphone-controlled app. It is surprising how many people say that that it works great despite the app, or that shrug the app off as a pointless extra. This should be a selling point here that adds to the functionality. Instead, users find themselves struggling with the software and registration. Users call it “clunky”, which doesn’t suggest a high-end function. The impression here is that if it doesn’t add to the workout, or make things easier, then why bother? What does this mean for the final recommendation on this Sportstech App-Controlled Bike? The issue with the app is a definite disappointment. There are bikes at the higher end of the price scale that offer virtual adventures and fun challenges – all with decent connectivity. Here it is easier for users to just stick with the basic functions. There is enough in the standard programming and resistance to help the average user meet their fitness goals. The additional benefits of the build and convenient extras just add to the appeal. 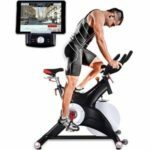 This Sportstech exercise bike may not be as smart as it may think, but it is still recommendable for many users. 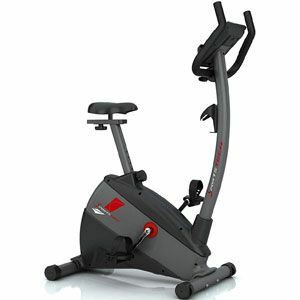 Find more reviews about the Sportstech Exercise Bike ESX500 on Amazon here.